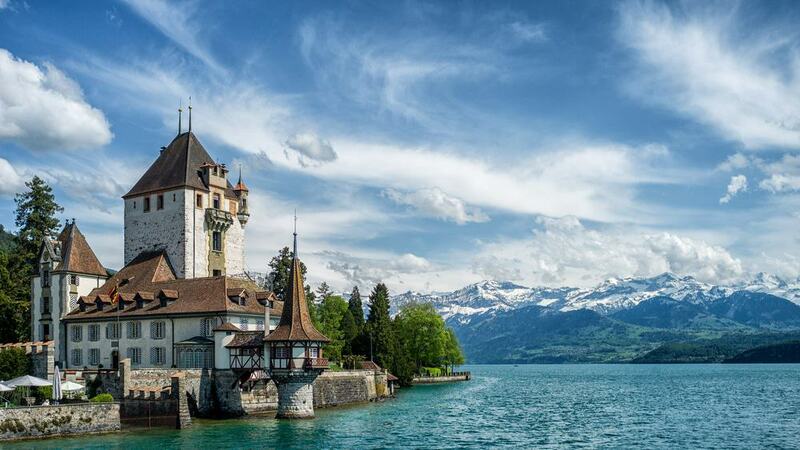 Couched between Lake Thun and Lake Brienz in the Bernese Highlands is the fabled resort of Interlaken. 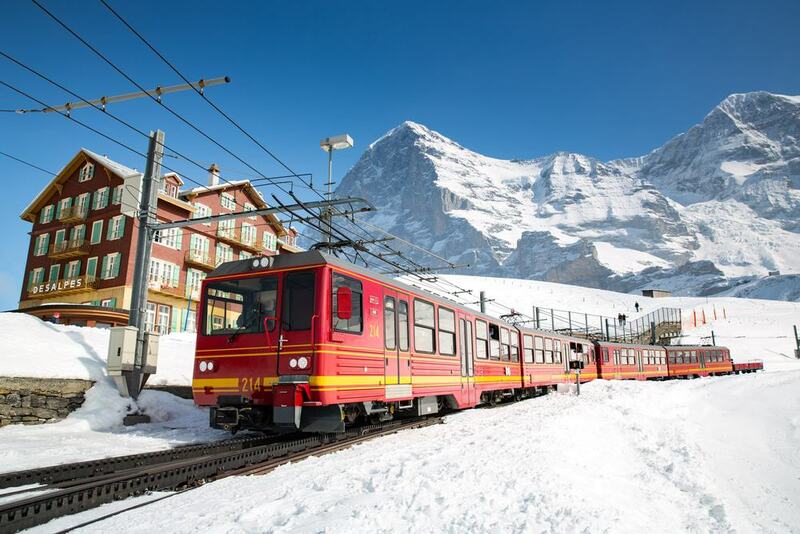 With a whole network of trains, funiculars, boats, cable-cars at your disposal, Interlaken can be your springboard for journeys into the formidable Bernese Alps, ruled by three immense peaks: Jungfrau, Eiger and Mönch. You can ride the highest railway in Europe up to Jungfraujoch to see these monsters and the Aletsch Glacier in all their majesty. And in the resort there’s a mountain of things to do like steamboat trips to waterfalls, hikes, kayaking, swimming, canyoning and even paragliding, all in front an awe-inspiring backdrop. Interlaken’s own mountain can be ascended in little more than ten minutes via a funicular. In that short space of time you’ll climb more than 730 metres in a car with large windows showing the full beauty of the mountainous landscapes. At the upper station, at an elevation of 1322 metres an exhilarating scene will be laid out before you, from Lake Brienz and Lake Thun far below to the nearby Emmental Alps and the sky-scraping Bernese Alps like Eiger and Jungrau in the distance. The viewing platform projects over the slope and has a glass floor, and there’s also a panoramic restaurant up here in a Romantic medieval style. Wilderswil on the southern fringe of Interlaken is the northern terminus for a 115-year-old rack railway that winds into the Bernese Alps. 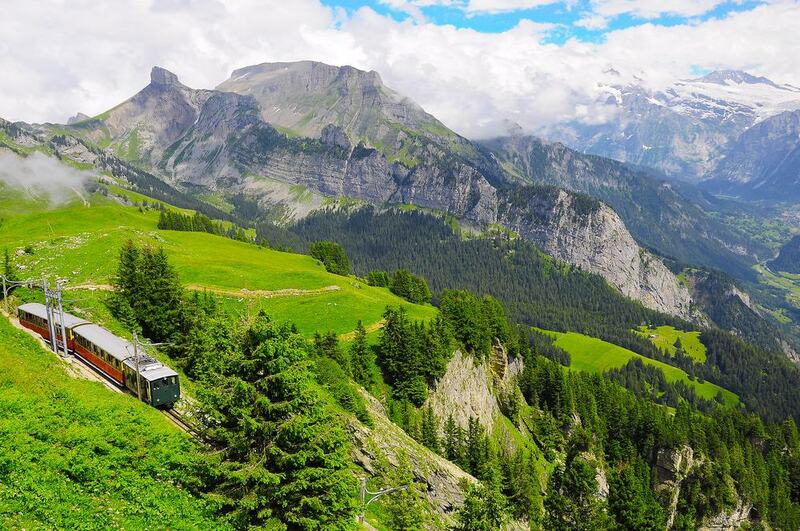 Despite its age the Schynige Platte Railway is still one of the highest lines in Switzerland, and needless to say the vistas of peaks and mountain pasture are breathtaking. The end goal is Schynige Platte, a ridge at 2,000 metres on the Schwarzhorn mountain. There are ample reasons to make the trip: To come to look down on Interlaken, which seems tiny from up here, and to view mountains like Schreckhorn, the northernmost European peak over 4,000 metres. There’s also an Alpine garden, with 650 flowering plants, another panoramic restaurant, and the ridge is the trailhead for short and long hikes to see more of Eiger, Jungfrau and Mönch. Lake Brienz to the east of Interlaken has a turquoise tone and mountain views. Steamboats have been chugging across this lake since the 1830s and there’s now a small armada of five vessels from the first decades of the 20th century. These set off for destinations around the lake, like Giessbach, site of the castle-like Grand Hotel Giessbach and a waterfall that plunges 500 metres to the lake. The hotel is served by a funicular that goes back to 1879. 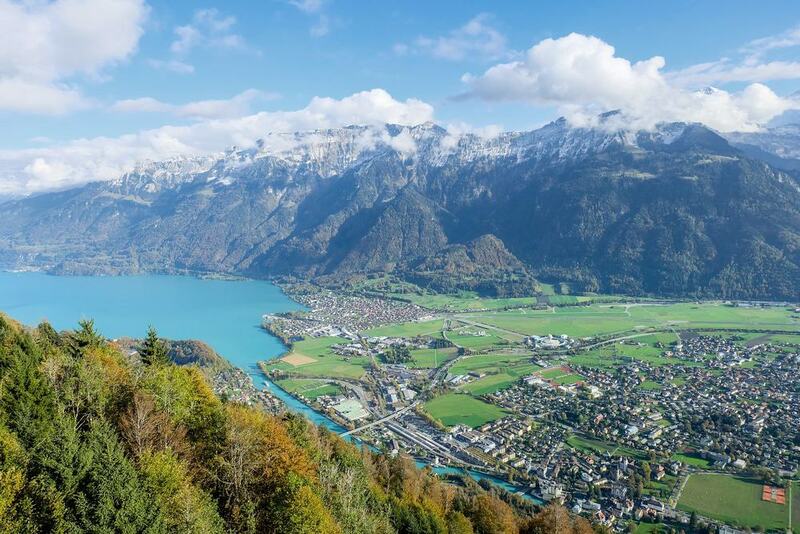 And if you’re feeling fresh you could take a memorable walk or bike ride back along the southern shore of Lake Brienz in a few hours, or cross to Oberried and catch the train to Interlaken. In the west is Lake Thun, which has a deep blue colour and catches the prevailing breeze. So no wonder this lake is favoured by windsurfers and sailors, while the shore, enveloped by woodland, is dotted with bathing areas to entice you in summer. Out on the water, free of any obstruction you can bask in the superb panorama of Eiger, Mönch and Jungfrau. 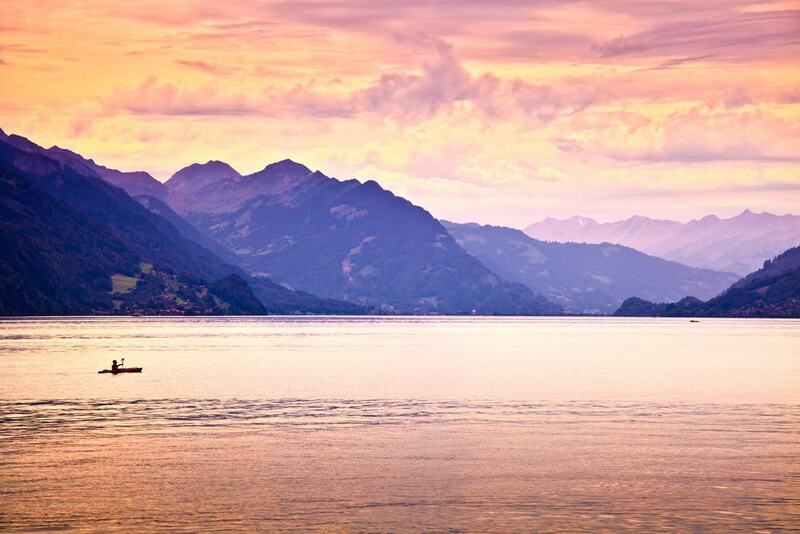 This is a sight that needs to be contemplated slowly, so catch a steamboat over the lake and spend some time in Thun. There’s much to love about this historic town, from the stately Schadau Park and Thun Castle to the cute Altstadt around a town hall from the 1500s. Interlaken Ost railway station is the departure point for a train ride of epic scope. Amazingly, the Interlaken Line is more than 100 years old, and will lift you in stages through landscapes that almost beggar belief, up to the Jungfraujoch saddle at 3,466 metres. This final railway station is the highest in Europe, at the culmination of a seven-kilometre tunnel through the mountain. From there you can enter the Top of Europe Building, which overlooks the permanently frozen expanse of the Aletsch Glacier in the UNESCO Natural World Heritage property of Jungfrau – Aletsch – Bietschhorn. There are restaurants and attractions inside, and you can then ride the elevator to the Sphinx Observatory for jaw-dropping 360° indoor and outdoor views. Right above the northeastern of Lake Thun is a karst cave system that got its name from the 6th-century Irish monk, Beatus. He is claimed to have lived here, and according to legend ousted a dragon when he moved in. The caves have a kilometre-long walkway, impressive chambers where you’ll come across strange concretions, dark chasms and underground waterfalls. Also on the site is the Cave Museum, documenting the history of the caves, how they were explored in modern times and explaining their wildlife and geology. The restaurant is in a loggia gazing out over Lake Thun and its mountain backdrop. West of Interlaken and on the shore of Lake Thun is this pretty medieval town, which has a quieter, less touristy character. Unterseen is essentially a suburb of Interlaken, across the Aare by Interlaken West Train Station. On Marktbrunnen, the old market place, stands the rustic tower of a 13th-century church, as well as the Stadthaus. Now a restaurant, this used to be the town hall, but actually started as an inn for cattle drivers in the 15th century. Also on the square is a museum about the birth and growth of tourism in Interlaken from the 18th century on. Amble around the streets for a while, checking out the chalets and their exaggerated eaves and calling in at local amenities like bakeries. Come to Interlaken from June to September and there’s a dizzying amount of things to do outside. Top of your list should be to rent a kayak or stand-up paddleboard for Lake Thun or Brienz, and there are lots of companies to consult for this. On land you might be ready for something more exciting than a simple hike. The terrain around the lakes couldn’t be better suited to canyoning: You’ll don safety gear and a neoprene suit and rappel down waterfalls and gorges. The sharp drops that encircle Interlaken’s lakes are a launch pad for paragliders, whose colourful chutes are a common sight in summer. This isn’t an activity for the faint of heart but is worth every penny if you can muster the courage for a tandem flight. This street and promenade is like the backbone of Interlaken, diagonal and parallel to the Aare as it flows from Lake Brienz to Lake Thun. Walking in the direction of Unterseen, the left side of Höheweg has been kept free of construction. There’s a line of flower gardens and parks like Höhematte which leaves clear views to the Bernese Alps. 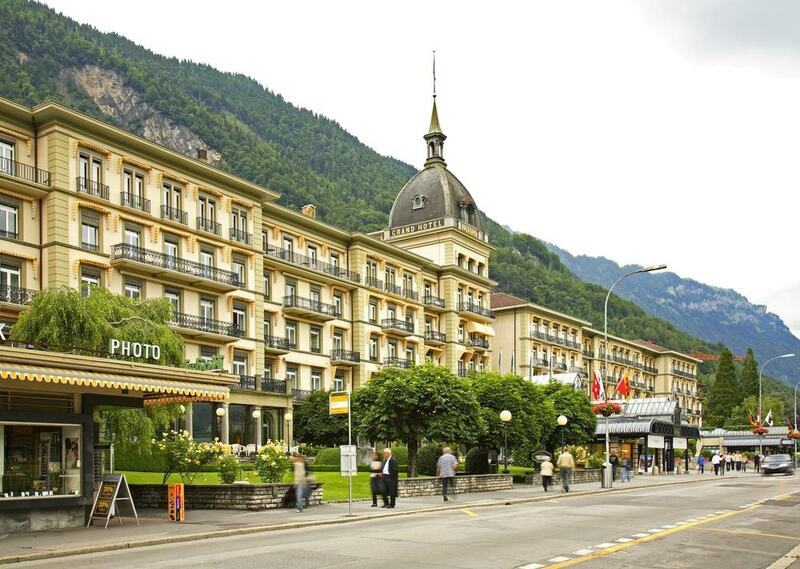 And on the right side is a string of high-class hotels interspersed with boutiques, bars and cafes, as well as Interlaken’s casino. 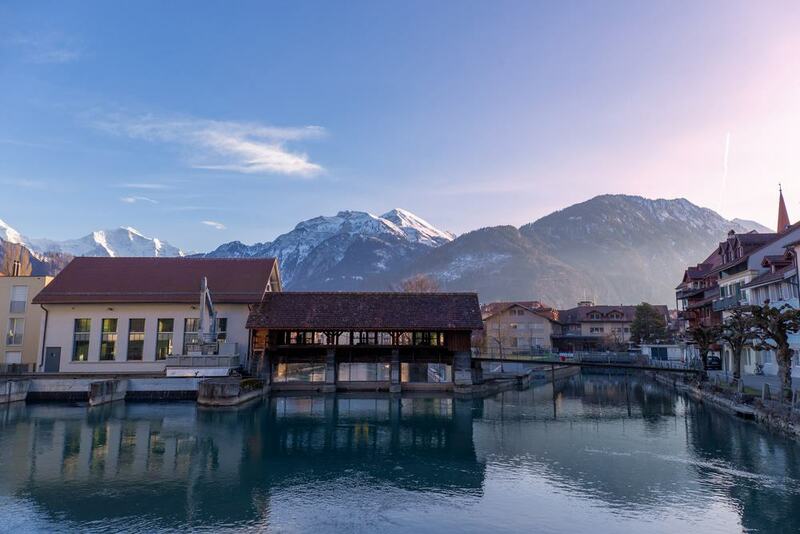 In winter it’s normal for towns to set up temporary ice rinks, but Interlaken goes way beyond that. On Höheweg from the middle of December to the end of February, Ice Magic is a small world of ice. There are five rinks at Ice Magic, all interconnected by 450 metres of ice ramps. In the evenings you can hire a lane at the Bavarian curling rink. Unlike the Olympic sport this game is easy to pick up and more like bowling on ice. After a fun couple of hours zipping around the ice you can warm up with hot chocolate or mulled wine, or share fondue at the chalet-style eatery. Away from the tourist trail and souvenir shops you find a moment of peace and solitude on the east shore of Lake Thun, just outside Unterseen. 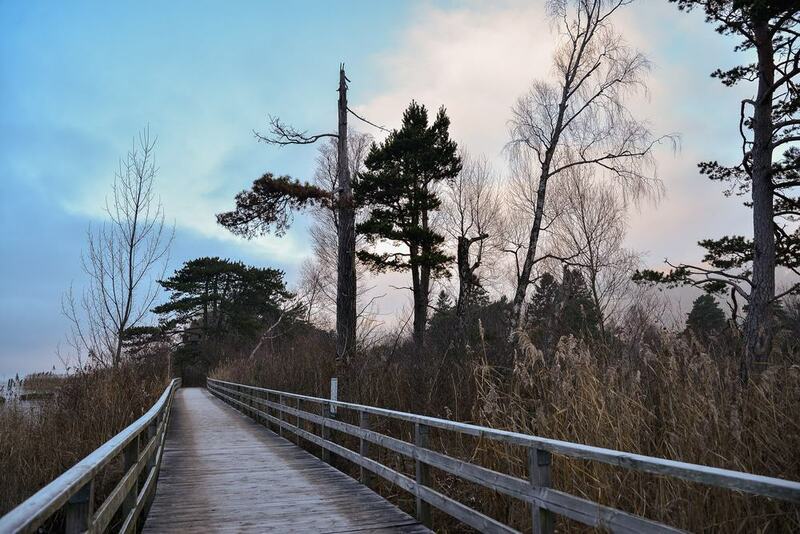 The Weissenau Nature Reserve is a wetland site blessed with sumptuous views of Eiger, Mönch and Jungfrau. Not many people make it to this corner of the lake, so when it’s warm can trail over the wooden walkway and admire the lake, birdlife and wildflowers in your own time. The reserve also holds the ruins of Weissanau Castle, a Swiss national heritage site, dating back to the 1200s and which you can scale to survey the tree canopy and Lake Thun. Get up bright and early and take the twisting mountain road to Beatenberg for a tour of an authentic Alpine dairy. Tours are only given first thing in the morning, starting at 07:15. 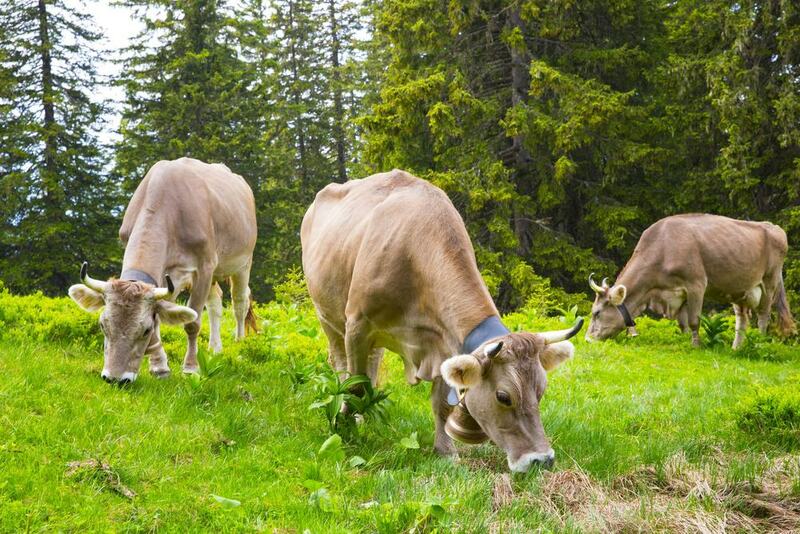 You’ll strike out on an invigorating walk in the pasture to view the herd with a guide, before meeting the “dairyman”. He’ll show you behind the scenes of a real Emmental dairy, and the cheese made here will be waiting for you on the table for a communal breakfast at the end of the tour. Visits takes place on Tuesdays from June to September, and Fridays on request. 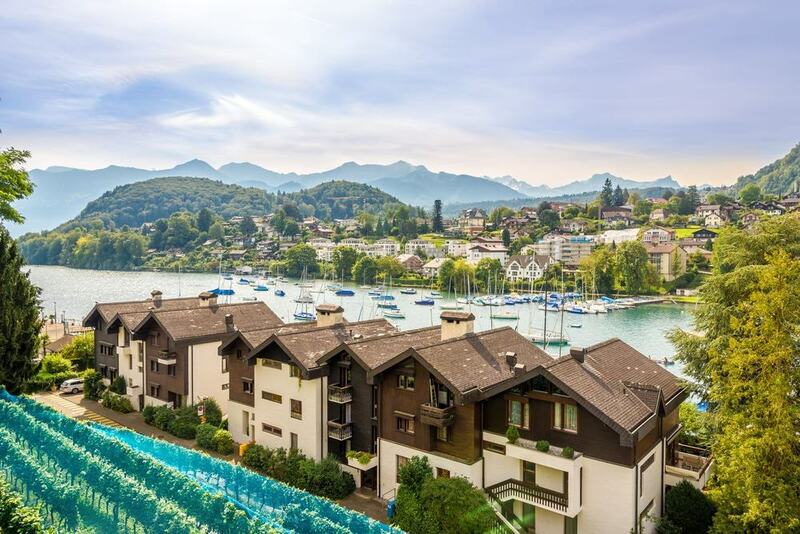 Now, Interlaken isn’t a ski resort per se, but its amenities, location and transport connections make it a good place to plant yourself for day or two of skiing or snowboarding in winter. 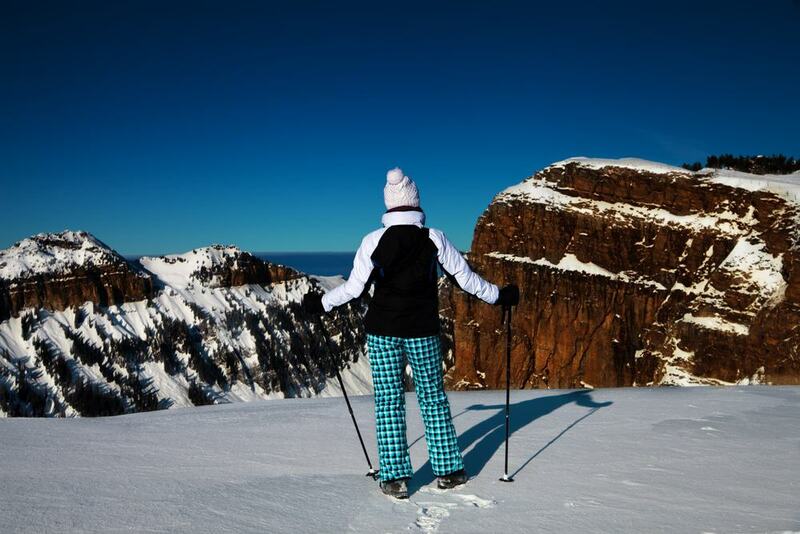 The Jungfrau Ski Region is on the radar and incorporates Grindelwald First, Kleine Scheidegg-Männlichen and Mürren-Schilthorn. Even closer is Beatenberg-Niederhorn to the north of Interlaken, which has slopes that will suit families and newcomers to skiing. Here on the north side of Lake Thun and at Spiez to the south there are also cross-country trails, many overlooking the lake. If you’re willing to go the extra mile there’s an awesome 15-kilometre toboggan run from the Faulhorn peak down to Grindelwald. 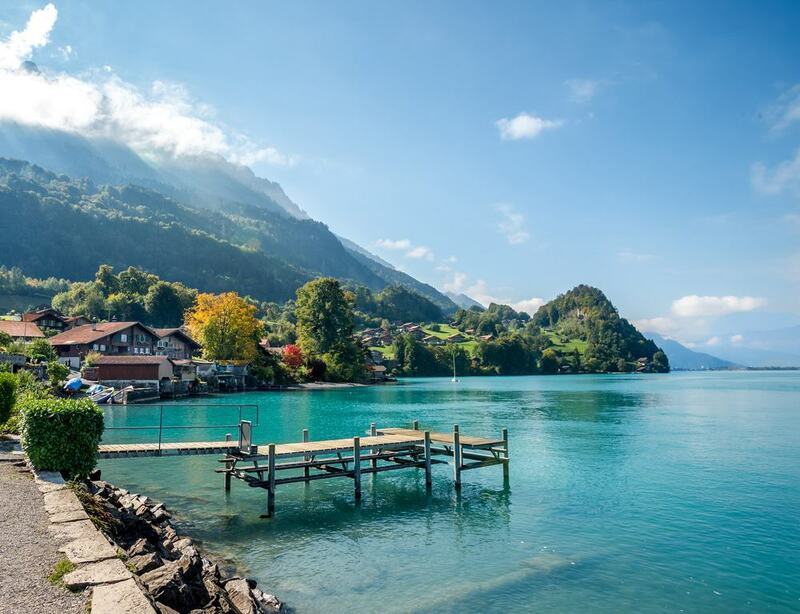 On Lake Thun’s south shore, Spiez is a picturesque town wrapped in vineyards and reached by car, train or boat in a matter of minutes from Interlaken West. The town is crested by the powerful square keep of its castle, which was first built in the 13th century and gained its current appearance in the 1600s. This is well worth a visit, along with the 1,000-year-old Romanesque church, and has information in three languages about the succession of noble families that owned the castle under the Kingdom of Burgundy and Habsburg Empire. There’s also a museum about Spiez’s winemaking history, and trails begin right in the town and wind off into the Niederhorn Range. 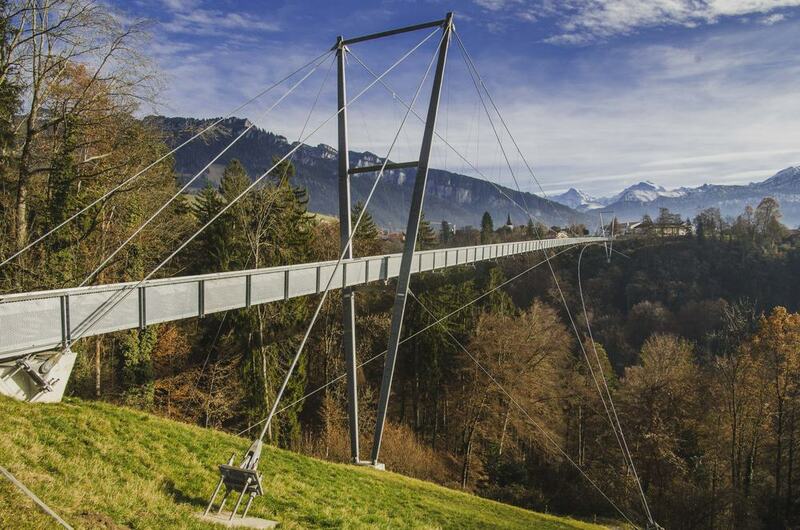 This new panoramic footbridge on the above Lake Thun is part of a plan to make the lakeshore even more accessible for pedestrians. Three of seven bridges have been constructed so far, and Panoramabrücke Sigriswil is the most impressive to date. It soars 180 metres over the Gummi Gorge and is 330 metres in length. You’ll never tire of the view of the Bernese Alps looming over the deep blue of Lake Thun, no matter how many times you admire it, and this bridge is the one of the best spots to do exactly that. The bridge is on a path that will carry you down to the charming town of Oberhofen, which has a beach and a castle on the water.